Our residential inpatient program re-establishes everyday life skills and slowly introduces our guests to a new way of life. Immediately following a medical detox, our programming is filled with intensive therapy to best help guests during this crucial phase of their development. Holistic programming means we take an all-encompassing approach to the treatment of substance use disorder. 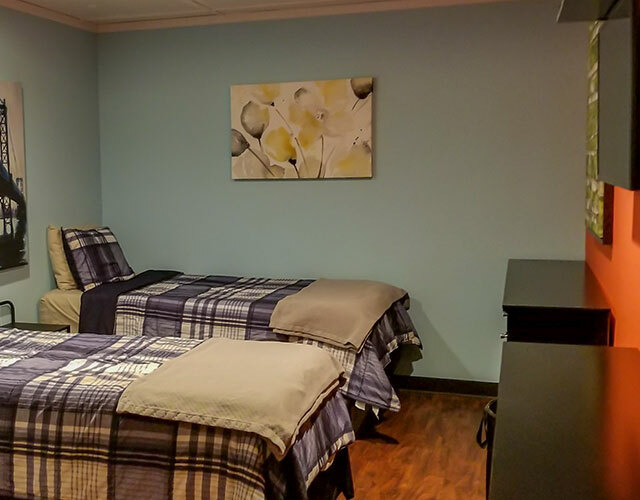 Our small, private facility offers the perfect setting to begin the lifelong journey of recovery. Royal Life Centers uses a wide variety of therapies to most effectively help our guests. For example, we utilize individual and group therapy, psychotherapy, activity therapy, and more. Group therapy is five hours a day, every day. Topics include relapse prevention, grief, and loss, anger management, depression, emotional health, traditional 12 step meetings, along with an ever-changing selection of subjects. We also incorporate fun, engaging activities into our daily program to keep things fresh and exciting. Our modern facility and accommodations are designed to provide a comfortable stay where guests can completely focus on getting well. Meals are provided by the on-site chef, along with a full snack bar, available 24/7. Additionally, all bedrooms have their own TV’s along with Xbox One game systems in the common areas. The goal of these therapies and activities is to restore and strengthen the mind, body, and spirit. Overcoming substance use disorder is only the first step in recovery. 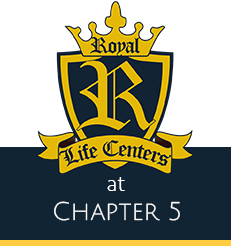 As a result, Royal Life Centers doesn’t just want abstinence for our guests. In fact, simply just removing drugs and/or alcohol from a person is a short-term solution. We help our guests to become open-minded, and embrace a spiritual approach to self-discovery and healing. Once this healing begins, long-term sobriety and positive, lasting life changes begin. If you’re ready to make that change, or someone you know needs help, please reach out to us today. The Royal Life admissions team is always available to answer any questions you may have, 24/7. Call us now at (877)-RECOVERY or (877)-732-6837.